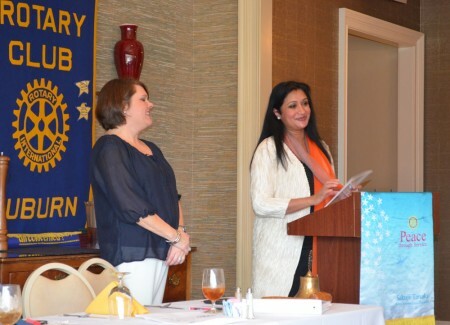 The Auburn Rotary Club recently inducted as its newest member, Dr. Vini Nathan, dean of Auburn University's College of Architecture, Design and Construction. More than 1.2 million business, professional and community leaders -- including retirees -- in 34,000 clubs worldwide are members of Rotary. Rotarians volunteer their time and talents to serve communities locally and around the world through fulfilling Rotary's motto of "service above self."